Starting a website for your profitable business is not the hard part. The hard part is building traffic. For building a lot of traffic, what webmasters are doing is link building. Yes, link building can increase traffic volume and search engine ranking. But, these days building links is not so easy as you might think. If your strategy goes against the search engine guidelines, you won’t get the fruit, instead you will get penalized. So, you need the thoughts from experts not to make any mistake in building backlinks. Here, I bring you six best link building books for 2019. Why is link building important? Links are one of the important search engine ranking factors. Links tell the position of a website’s popularity and trust. If you do in correct manners, you’ll secure higher Google rankings and get more visitors to sell your products and services. But, if you are a beginner in link building and search engine optimization (SEO), I suggest you to first read some books from our list of highly recommended 10 Best SEO Books. The following selected books are useful to both beginners and advanced link builders. These best and latest books are available as paperback and Kindle books on Amazon. You can order a paperback edition to get delivered at your doorstep. If you don’t want to wait for weeks, buy Kindle editions. Kindle eBooks are cheap and can be read immediately just after you buy. The best book of its kind in the industry! 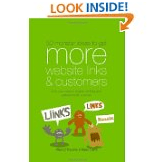 As a book, it has full of thoughts and practices in link building. The author Eric Ward is responsible for Amazon success in becoming the world’s largest online retailer and creditable for being the father of link building services, according to Mike Grehan. With Garrett French, the two masterminds have put together a solid book revealing link building tactics and tools in this era of Panda, Penguin and other Google algorithmic updates. The book is available in both printed and Kindle book format. Strategies that no one has known for getting links, identifying Google safe authority blogs, software to save your labor and investment for outreach, taking advantage of your competitors, how to outsource the work for a few dollars, which email you should use for outreach, email template that gets the best response rate, 7 quality checklists to avoid Google penalties, 7 methods for getting best article topics for producing interesting articles that get lots of social attention and comments, and more. Click on the eBook title above more details. 3. Link Building Is Dead. 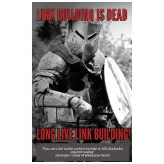 Long Live Link Building! 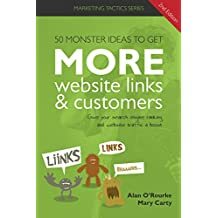 The book gives excellent ideas and examples on how to create a productive link building campaign. 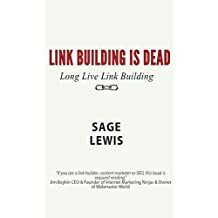 The new book will be greatly helpful: to business owners and marketing managers, in developing your marketing and link building strategies, in using tools and tips for campaign designs, when you are implementing various link building campaigns in this post-Penguin Google algorithm era. Also a highly recommended book in the subject! The book is also available in printed and Kindle editions. According to the authors, Google won’t like to reveal the link building ideas outlined in this book. Lessons for increasing Google page rank and traffic are actionable. 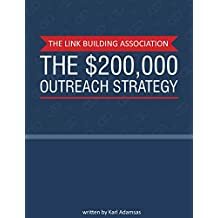 In this book, you will find some of the most effective link building techniques on the internet. The book is useful to new and advanced marketers. Several online resources you can used to save your time and money are given in this Kindle book. 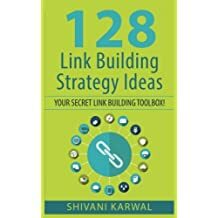 In this new book, you will find 128 ideas of building links for your site for improving your search engine rankings and traffic. Use each of the white hat ideas of getting backlinks. Choose the easier and better strategies you can do regularly from the list of ideas. Without proper understanding, link building is quite harmful for your website. This new book teaches you how to build backlinks in correct ways. 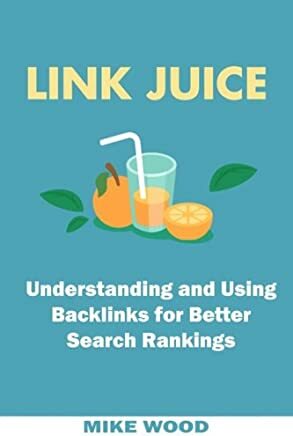 From this book, learn backlinking basics, link acquisition, methods of acquiring quality backlinks, using right anchor texts, using LSI keywords in your content, link wheels and link farms etc. A guide that will definitely help you build quality backlinks faster! 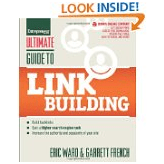 Before making the above list, I planned to make a list of top 10 best books on link building. But I didn’t find other worth-to-read books than those listed above. If you know any best link building books published this year, please let me know in your comment you can provide below. Very cool site! I absolutely love it! Thanks for sharing. Great resource! Thanks for sharing a review of the best link building books. I’d really love to get my eyes off the internet and laptop for a rest from UV radiation. Can’t wait to check them out! I want to know about regional language book for affiliating and seo .